Rachel joined our firm as a partner in 2013, having started her career nearly 20 years ago with another private practice IP firm. She is a Chartered UK and European patent attorney. Rachel’s degree was in Medical and Veterinary Sciences at Cambridge University, which provided a broad foundation in Life Sciences subjects, including anatomy, physiology, biochemistry, pharmacology and neurobiology. Rachel’s professional work has developed with a particular focus on medical device technology, which necessarily involves expertise in the software-, app- and computer-implemented aspects of such technology. These skills have led her to work across a diverse technical range, now including waste processing, innovations in the circular economy, medical devices and food technology. Along the way, Rachel also has considerable experience in the ophthalmology sector and has worked on a number of very significant cases involving stem cells. Her work has also included trade mark and design matters and plant variety applications and appeals. Rachel has extensive experience in conducting freedom-to-operate opinions, providing strategic IP advice and preparing due diligence opinions. She also has experience of litigation of patent and trade mark matters. She is especially skilled at providing focussed, commercially relevant advice, often under significant time pressure. Rachel always prefers to provide clear advice and guidance to a client, and to work in collaboration with them, rather than simply providing information on which the client is left to make a decision. Rachel is particularly keen to gain in-depth understanding of a client’s commercial situation and goals, so that she can act as a pseudo in-house advisor and help to guide the overall strategy. 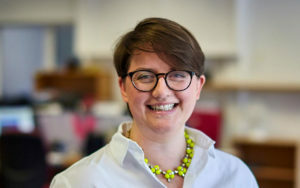 Rachel has worked with a range of clients throughout her career, with particular experience in assisting start-up companies; she has a keen understanding of the challenges faced by such companies. She takes immense satisfaction from adding true value to her clients’ businesses, by providing strategic advice that allows them to manage and use their IP in the most commercially effective manner. She is also a keen networker and enjoys making connections and introductions on behalf of her clients. Rachel spends part of her working week in London, based in the City. She is always happy to meet with clients and contacts there.